The American Cancer Society/Dell Rapids Relay for Life Event will be held in the Dell Rapids City Park on July 26, 2019. If you are interested in forming a team, purchasing luminaries in honor or memory of a loved one or friend, or if you have any questions about the relay event please contact LuAnn Heidebrink at 261-8832. 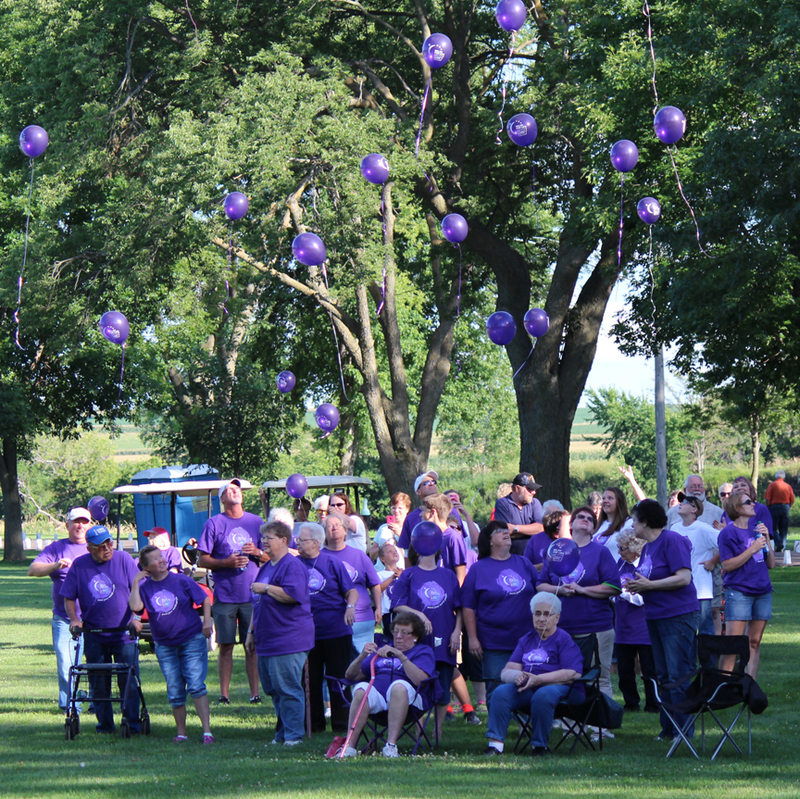 The 17th Annual Relay for Life was held on Friday, July 27th, into the morning on Saturday, July 28th at the Dell Rapids City Park. The event started at 6:00 p.m. on Friday and wrapped with a sunrise service at 6:00 a.m. on Saturday. The Boy Scouts once again held a Whopper feed starting at 5:30 on Friday evening. 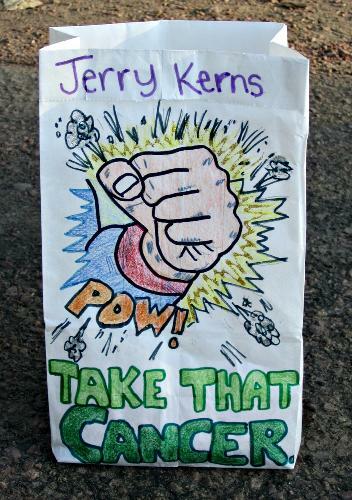 The Cancer Crusaders ran a concession stand until 10:00 p.m. Friday night. Luminaries again lined the paths of the park and were lit at dusk on Friday. 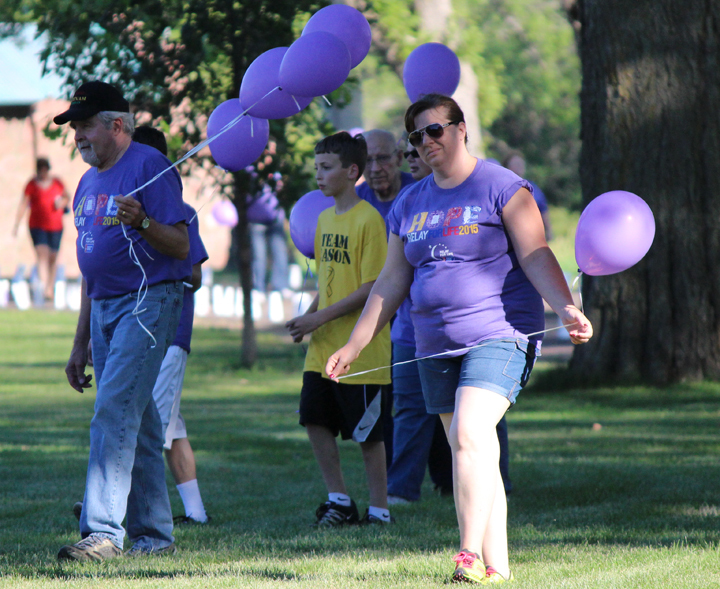 The Survivor Walk was the official kick-off to the Relay for Life event at 6:00 p.m. on Friday. After the Survivor Walk, entertainment was provided by various individuals including the Hallelujah Hooligans, Jon Hanson, Angie Peterson-Kaffar, John Pollman, Shane Skinner, and the Lutheran Church Praise Band. 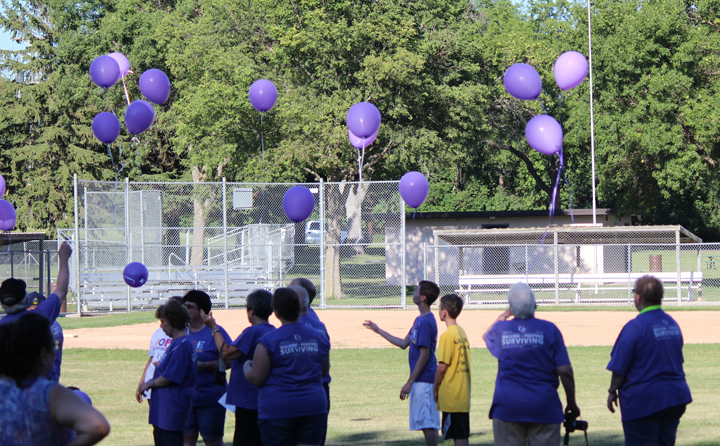 The 15th Annual Relay for Life event at Dell Rapids City Park was held on Friday, July 29th. The event started at 6:00 p.m. and ran until 6:00 a.m. on Saturday, July 30th. 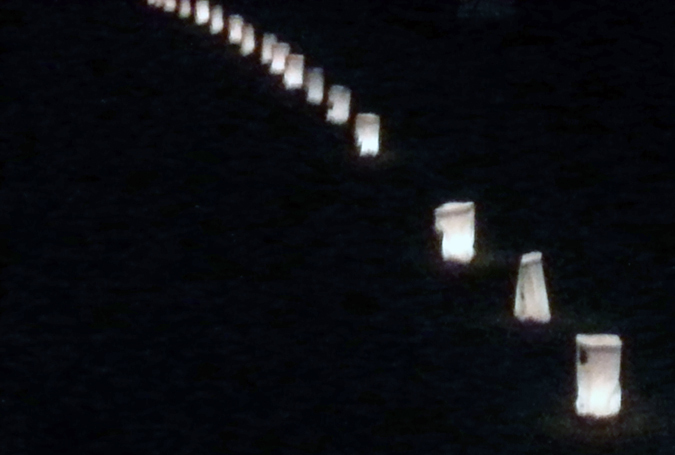 Luminaries lined the park paths and were lit during the night. The Boys Scouts held a whopper feed, and the Cancer Crusaders held concessions throughout the event. The Survivor Walk kicked off the event right at 6:00 p.m. on Friday. After the survivor walk, entertainment was provided by various individuals and groups throughout the evening. The event concluded with a sunrise service led by Pastor Rick Timmer. The emcee for the event was Erica Fersdahl. The atmosphere and weather were absolutely amazing for the 14th annual Dell Rapids American Cancer Society Relay for Life held at Dell Rapids City Park. A Whopper feed, concessions and survivor registration kicked off the event at 5:30 p.m. on Friday, July 24th. The Survivor Walk started at 6:00 p.m. Entertainment was held throughout the night. Luminaries were lit at dusk. The event concluded with a sunrise service by Pastor Melissa Fletcher on Saturday, July 25th, at 6:00 a.m. The 13th Annual Dell Rapids Relay for Life was held on Friday, July 25th, and lasted into the morning of Saturday, July 26th, at City Park. The Boys Scouts sponsored a Whopper Feed that started at 5:30 p.m. on Friday. The Survivor Walk started at 6:05 p.m. Deb Henriksen served as the emcee for the event. Many different entertainment acts were held throughout the night. Luminaries were lit at dusk, and the festivities concluded with a Sunrise Service by Pastor Ryan Franchuk of Christ Fellowship Church in Baltic. The 2013 American Cancer Society “Relay for Life” event in Dell Rapids was held on Friday, July 26th, through the overnight into the morning hours of Saturday, July 27th, at the city park. The night was full of entertainment with singers from 6:00 p.m. to 10:00 p.m. A whopper feed was held by the Boys Scouts at 5:30 p.m., and concessions were also held throughout the evening hours on Friday. The event kicked off with the survivor walk at 6:05 p.m., and the park was lit up with the luminaries at dusk throughout the night. The MC of the event Deb Henriksen shared her thoughts on this year’s event. Dell Rapids – April 25, 2013 – The past weekend’s first ever American Cancer Society Relay For Life® Run 5k and Kids’ Relay Race raised just over $500 to support the Society’s mission of saving lives from cancer, leaving volunteers and some runners a bit chilly, but happy, at Dell Rapids City Park on Saturday morning. Twenty-six runners and walkers participated in the 5k, which followed the bike trail and ended in the Park. The Kids’ Relay Race saw twenty-eight area children registered on seven teams racing around the Park. 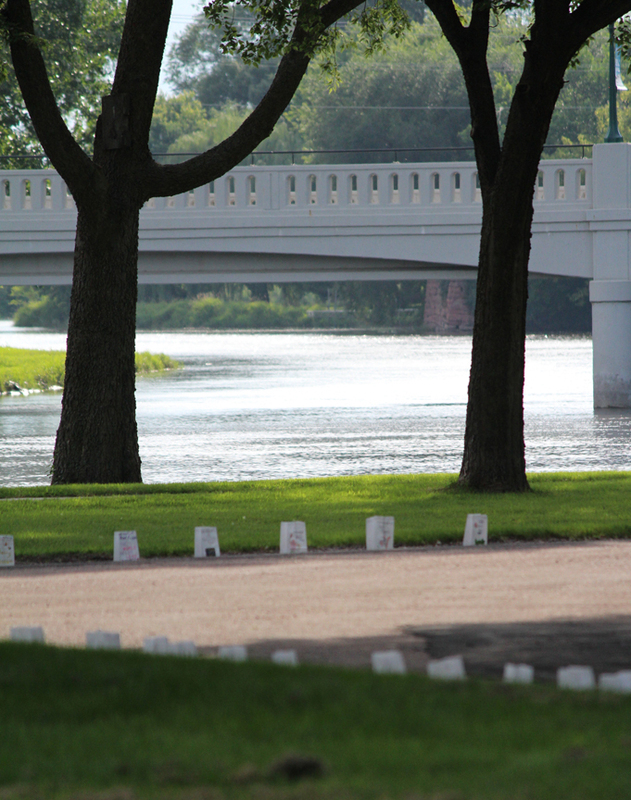 The American Cancer Society Relay For Life of Dell Rapids is planned for July 26-27, 2013, at the Dell Rapids City Park. 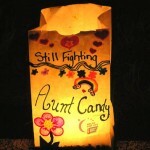 To learn more about Relay For Life, visit www.RelayForLife.org or call 361-8277. The American Cancer Society combines an unyielding passion with nearly a century of experience to save lives and end suffering from cancer. As a global grassroots force of more than three million volunteers, we fight for every birthday threatened by every cancer in every community. We save lives by helping people stay well by preventing cancer or detecting it early; by helping people get well by being there for them during and after a cancer diagnosis; by finding cures through investment in groundbreaking discovery; and by fighting back by rallying lawmakers to pass laws to defeat cancer and by rallying communities worldwide to join the fight. As the nation’s largest non-governmental investor in cancer research, contributing about $3.4 billion, we turn what we know about cancer into what we do. As a result, more than 12 million people in America who have had cancer and countless more who have avoided it will be celebrating birthdays this year. To learn more about us or to get help, call us anytime, day or night, at 1-800-227-2345 or visit cancer.org. 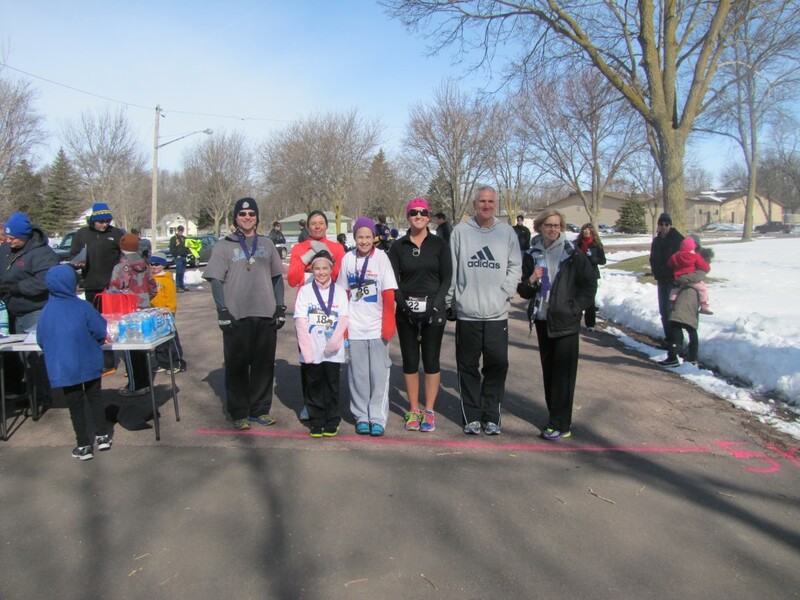 Pictured are the age group winners for the 5k. From left: Eric Majeres, male 30-39, 30:13; (back) Melissa Hansen, female 40-49, 22:25; (front) Sadie Schmitt, under 19, 42:31; Olivia Prasek, under 19, 42:00; Angie Geraets, female 30-39, 28:44; Keith DeLange, male 50-59, 24:21; Pamela DeLange, female 50-59, 47:39. Not pictured: Mark Downs, male 40-49, 24:47. 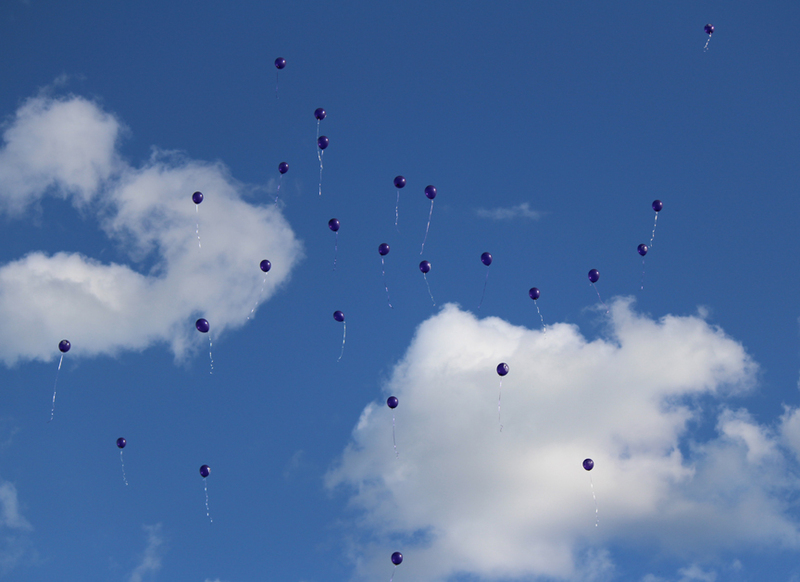 What a wonderful weather evening for the Dell Rapids Relay for Life on Friday, July 27! The Planning Committee tells us that 50-60 cancer survivors walked in the Survivor Walk at 6:00pm, with twelve teams registered for the walk. But many who came to eat at the Boy Scout Whopper Feed and hear the wonderful entertainment also took time to stroll and view the nearly 1550 luminaries lining the walkway. The many luminaries were decorated in memory of loved ones, honoring survivors, or encouraging those still fighting. 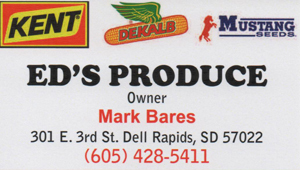 And during the evening, attendees could also partake in a game of Plinko, eat popcorn, cool off with a DQ Dilly Bar, have a slice of Pizza Ranch Pizza, or purchase raffle tickets to take a chance at winning one of the 66 raffle prizes donated by area businesses and individuals. Seventeen local businesses, who donated $250-$500, were listed on the back of the white Relay T-shirts. With donations totaling over $25,000, the Planning Committee would like to thank the community for their generous support and participation. July 27-28, 2012 will mark the 11th annual Dell Rapids RELAY FOR LIFE, which will be held at the Dells City Park. What is the Relay for Life? 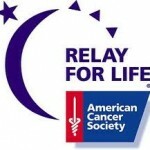 Sponsored by the American Cancer Society and local communities, the Relay is a fun-filled, overnight event which celebrates survivors, remembers those who’ve lost the battle, and raises funds for our local American Cancer Society. 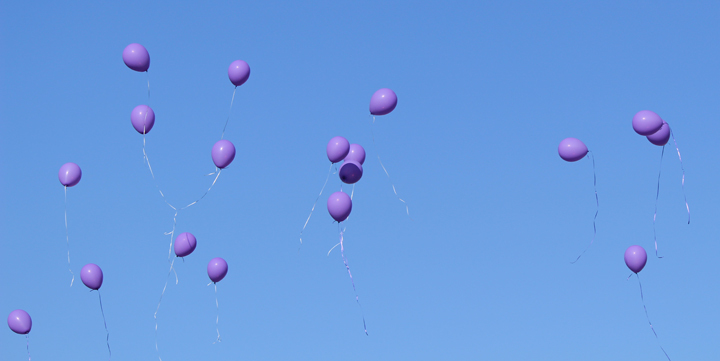 The concept of the Relay began in 1985 in Tacoma, Washington by Dr. Gordy Klatt who was inspired to raise funds for his local American Cancer Society and to show support for his patients who had battled cancer. The local Dell Rapids Planning Committee consists of Alice Majeres, Elaine Hoftiezer, Aggie Randall, Jamie Randall, Jean Rave, Barb Zorr, Stacy Tisher, Erica Fersdahl, LuAnn Heidebrink, and Lindsey Holmquest (ACS Rep). These women spend countless hours making sure that everything is organized and executed for the day of the event, from recruiting and motivating teams and sponsors, to procuring the evening’s entertainment and setting up the event day track. With the sound system monitored by Joel Clark, Deb Henriksen will again be the Master of Ceremonies along with several spectacular local entertainers. The event kicks off with Survivor Registration starting at 5:15pm, and at 6:00pm the Survivors walk a lap together to remember and celebrate the victories over cancer which have been achieved. At the most recent count, there are over 80 local cancer survivors. And, for the first time this year, the loving and dedicated caregivers will be recognized and thanked! Not only will attendees be able to listen to the evening’s entertainers (please see schedule below), but the Boy Scouts will have a Whopper Feed beginning at 5:00pm, Dilly Bars will be for sale, and you can play BUNCO at 8pm or Plinko throughout the evening. There will also be a Fish Pond set up for the kids or the young at heart! But the focal point of the evening will be the lighting of the Luminaria bags when it gets dark. 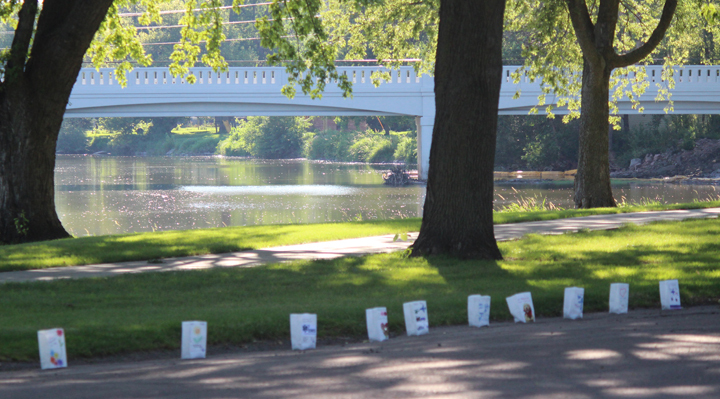 The many decorated Luminaria bags will line the City Park pathways to light the way for those walking through the night. Last year, over 1,000 bags were lit in memory of a loved one, in honor of a survivor, or in hope for those currently fighting the battle. The hope this year is to surpass the $24,000 raised in 2011. How can you help? 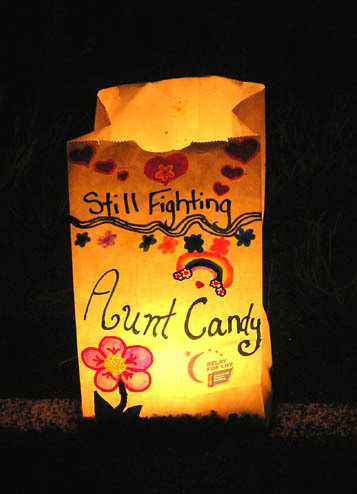 Purchase a $5 Luminaria bag to decorate the pathway or just make a donation. Call either Elaine Hoftiezer (428-3679) or LuAnn Heidebrink (428-5392) for more information.